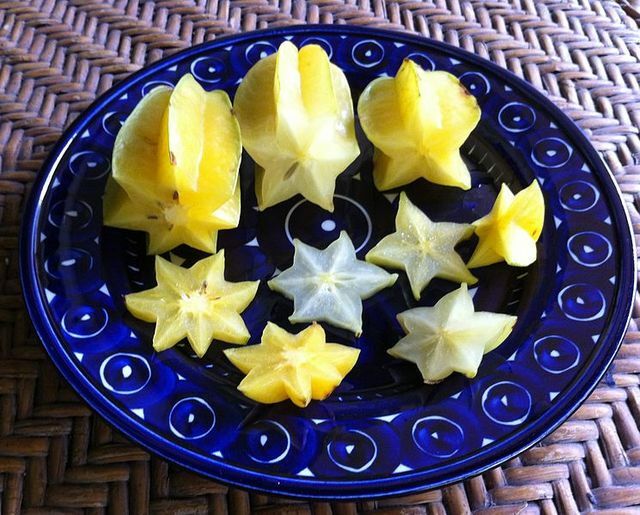 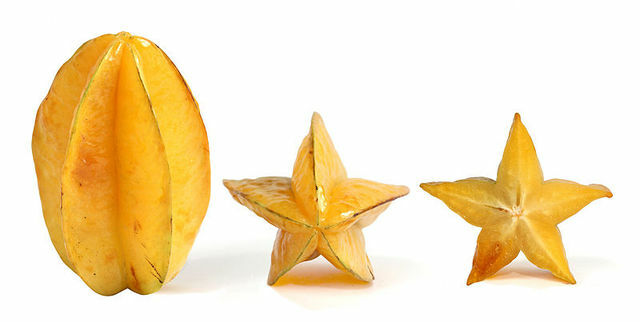 Carambola; A fruit with a star shaped cross section. 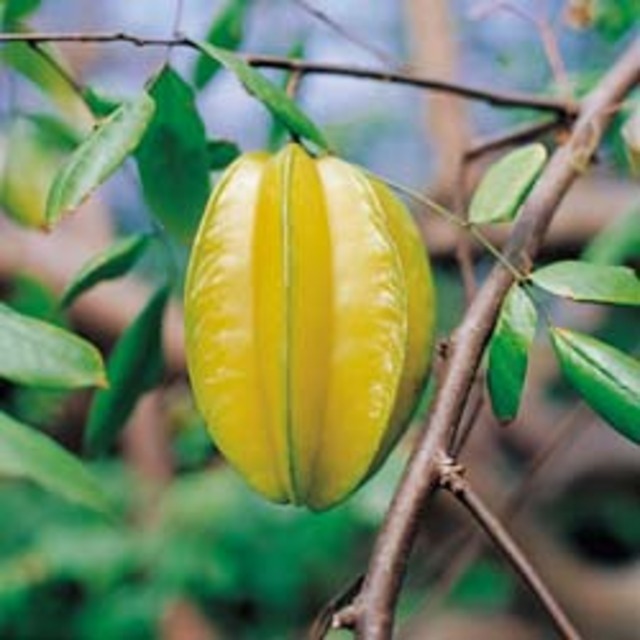 As it ripens it turns from green to yellow. 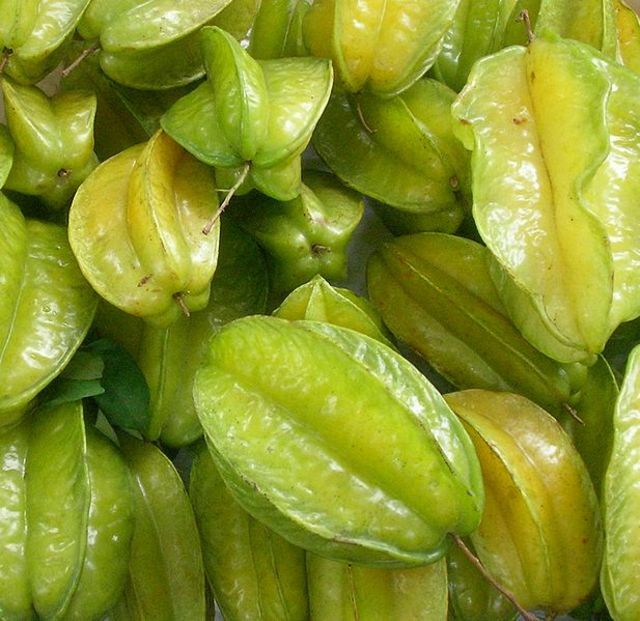 The fruit has a tart taste and is a good source of vitamin C.
In Guyana this is called "Five Finger", or as some would say "Five Finga." 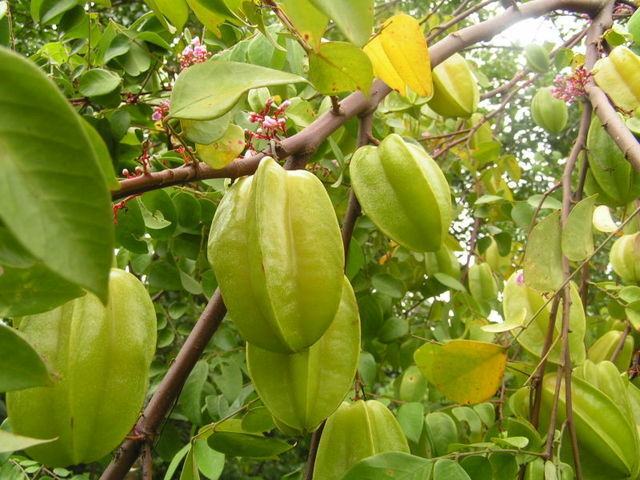 Also referred to as Carambola and there is also a Carambola flavoured "soft drink".